As we move into 2019, this statement encapsulates it all for me. My husband and I have been talking about changes we want to make, and both of us avoid New Year’s Resolutions. However, we are firm believers in the power of changing habits, and that is our focus as we shift into the new year: how can we shift our eating habits to better support optimal health? From negotiations over a house we are considering purchasing to meal planning, we are in the middle of action steps wherever we can be in our lives. This afternoon I read Shiv Charan Singh’s annual post breaking down the numerology of the changing year (read it for yourself here) and it got me thinking, as it has for the last few years. Hope has been of paramount importance to me – the darker things seem to get in the external world, the harder I’ve been working to stoke my inner light, to integrate my shadow, to “be the lighthouse” as Yogi Bhajan famously said. And, simultaneously, over the last few weeks I’ve been doing a lot of resting, rejuvenating… and maybe dipping into inaction. 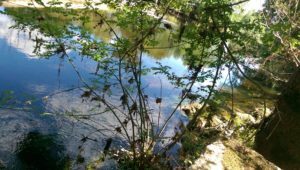 So here I am – writing this post, working on my last newsletter of 2019, because as much as I would love to put my laptop aside and pick up my new Charles de Lint novel, these things matter. AND these small actions already have me feeling more energized and ready to shift into 2019 than I was 20 minutes ago. So thanks to Shiv Charan, and to Greta Thunberg – your words were exactly what I needed today. P.S. check out all the amazing events & classes that are coming up – this weekend alone has New Moon Sound at The Women’s Club (5pm Friday) and Dark Moon Gong at Good Medicine (5-6:30pm Sunday) and there is so much more to come! This past moon cycle has felt really difficult for me at various points. 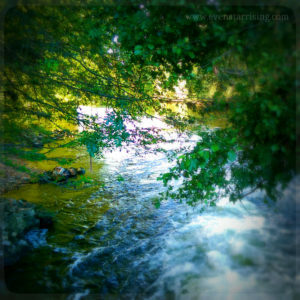 There are days when I feel like everything is flowing beautifully, I am part of the flow, my life is charmed. And then there are days when all that I can think about is my frustration at the waiting games that my husband and I are currently stuck in. The remedy? For me, keeping my focus on hope. That yes, things feel stuck, but we live on an ever circling planet in an ever shifting multi-verse – so despite my feelings, I never really am stuck. I have been leaning heavily on music and my instruments lately, particularly at those moments when frustration is the first thing to come up. One of my greatest joys is making music with my dear friend Amber Jackson of Jewels Sound Alchemy. 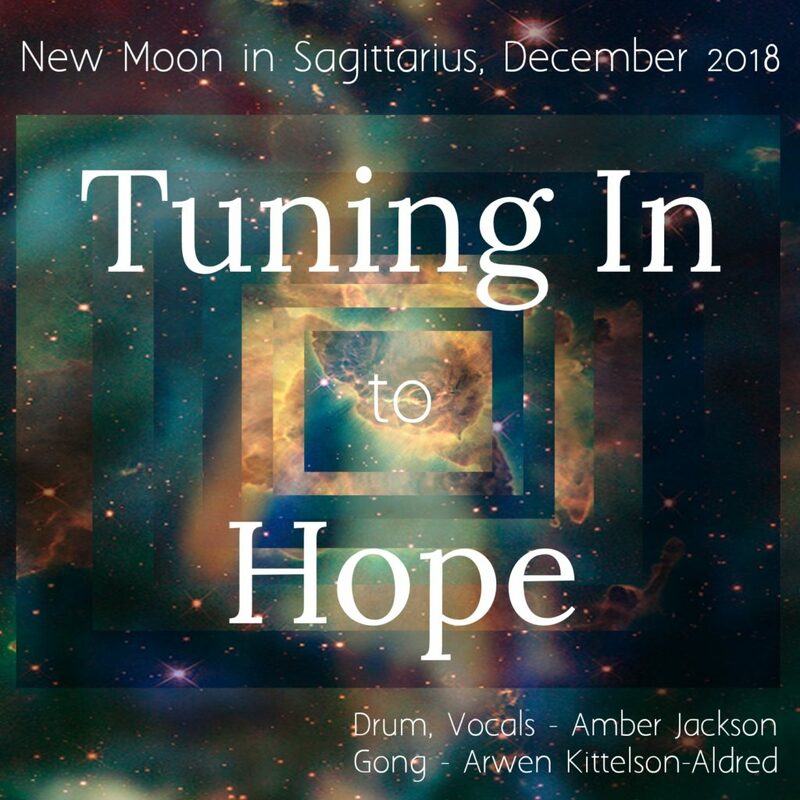 Combining our instruments and musical aesthetics results in magic for both of us, and just last month we made a collective dream of ours come true by recording the first New Moon Meditation (Essence of Grace – for the Scorpio New Moon – find it here!) So, naturally, the New Moon in Sagittarius came around this month and we had our sights set on continuing this *not quite a* trend. Here it is – our second little baby, up on Soundcloud and ready for you to take 30 minutes of quiet space. Let yourself Tune in to Hope – this is the season and time to focus in on it, and I am delighted to bring this to you. Click on the image above or go here to find this month’s meditation, Tuning In to Hope. And, if you’re around Missoula this holiday season, make some time to go into music with Amber and I on December 28 – our second Gong Songs. 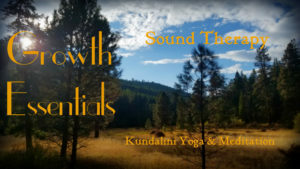 Part Gong & Himalayan Bowl Sound Immersion, part song and music circle… last month was our first ever Gong Songs and we loved it. Bring yourself, an instrument that you love if you’d like to, and a $15-20 donation, though none will be turned away. This is about showing up as ourselves and harmonizing our way through life together. As always, you’ll find a list of classes & events I have going on here, and on my FB page. This week was a big one for me! I was featured in an article in Missoula Valley Living (check it out here.) And, that same day, my dear friend/collaborator Amber Jackson and I took the first step towards a dream we have been calling in for some time now. Our first recording together is up! Enjoy this 31 minute meditation, the Essence of Grace, with the soundscape provided by my 32″ Shamash gong (by Shawn Aceto.) May it flow you through this New Moon and into the new year. Clarity Part 3: Don’t pitch that tent! If you’ve been reading my blog lately ( Clarity Part 1 & Clarity Part 2 here) you’ll know that I’ve been focusing in on what is and is not mine. The latest iteration of that came this morning, as I was having breakfast with a dear friend. When I arrived she looked at me curiously, noticing my slightly off-kilter affect, and her kind eyes opened the emotional floodgates. This last week has been full of challenging emotions for me. 17 years ago, my youngest sister Eleanore died in tragic and unexpected circumstances in late July, and her memorial service was a week later, on what would have been her 12th birthday. Every year, grief comes flooding back in different forms and at different times, but it always appears around this anniversary week. I began trying to describe the strange state of grief I was experiencing to my friend, and asked her if it was weird to be there 17 years later. This whole conversation was not more than 10 minutes before we continued on to enjoy our time together, but the impact of these words has been vibrating through me all day long. Because, in the end, the traumas did happen, and they made me who I am. I don’t know who I would be were it not for all the good and hard things that occurred in the past, because every step has led me to this moment right here. For me, holding onto and reliving the traumas of the past feels like trying to live in the past, and that doesn’t work. So my job is to be here now. May we all let ourselves be here now. Happy Birthday Eleanore – I miss you, and I’ll see you on the other side of this world ocean.